Back to school shopping for kids is a little bittersweet. It signals that summer is coming to an end, but it also means a fresh start. A new school year, with new possibilities. It’s hard not to be excited. This is part of why I actually enjoy the ritual of buying back to school clothes for my kids. However, we are long past the days when I could buy their outfits for them and they would just wear whatever I chose. Now that they are a little bit older, they have…. OPINIONS. BUT let’s be real here, as much as they don’t want you dressing them, kids only have so much patience for shopping. That is why stores like Kohl’s are sanity savers for moms, because we can pretty much get everything in one place. Little girl clothes, big boy clothes, school uniforms, shoes, lunchboxes, backpacks … check. check. check. Oh, and they have the brands that are cool for your older kids, along with all the character tee’s and such that kids of all ages want. The very best part is that we won’t spend a fortune for our kids to be fashionable. We can score some serious savings since the store has fantastic sales that can be combined with promotional discounts and coupons! (see more details at the end of the post) Heck, we don’t even have to go into the store to shop and save, we can dot it all online from the comfort of our couches if we want. Over the years, I’ve learned some tricks to simplifying and saving when it comes to my kids clothes. I would often find that my kids would pick out shirts and bottoms that didn’t coordinate. Or they’d want all the really trendy back to school clothes for kids, that would be so last week by half way through the school year. This led to school mornings where they had nothing to wear (or at least nothing they wanted to wear). Mornings are tough enough without those kinds of struggles. So, I came up with a plan. It not only made shopping easier on all of us and our budget, but also made getting dressed for school way less stressful. 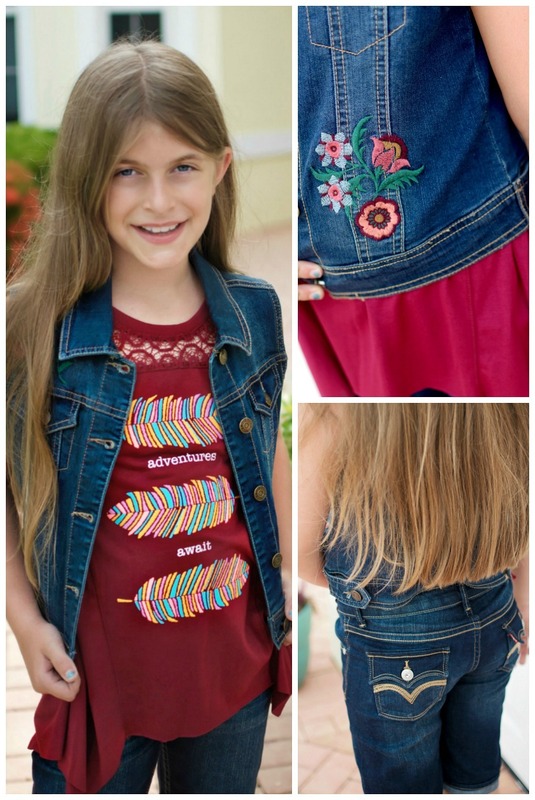 When it comes to having a fashionable wardrobe for your stylish kids without spending a fortune, the key is to invest in a few foundational pieces that can then mix and match with other items to create lots of different outfits. Also, while it is totally fun to have shoes with personality, if you are staying on budget, choose options that can be versatile. For me that means a pair of not too obnoxious tennis shoes that can be worn with lots of different things as well as dressier pair of shoes. Usually, black Mary Jane’s for my daughter and a pair of slip on dressier looking loafers for my son. Once you have the basics, the next step is to add in some trendy pieces to pull together a total look. This is where your child’s personality really gets to shine. Here we used our capri jeans from Levi’s that are fun with the little pocket flare. Next, we added this adorable crochet lace tank top in red adventure from Mudd. We completed our ensemble with an embroidered jean vest from Mudd that actually works as both a signature piece and a basic. Because it really can go with just about anything. My daughter’s cute little black Mary Jane’s from Skechers completed the outfit and she was ready for the runway…I mean school. To create multiple outfits, pick out a few other key pieces that your kids MUST have from this year’s trends. For example, my daughter has been obsessed with Descendents 2 all summer. We know all the songs from the soundtrack by heart. Kohl’s had an entire line from the movie, so she chose this Rotten to the Core Embellished Top, which goes perfectly with both her SO black leggings and her Mudd Jeggings from Kohl’s. She also found a B-Yourself sport sequin varsity T-shirt from SO and a more silly My Heart Belongs To Donuts T-shirt that were a great price and worked wonderfully with her Jeans and Leggings. And voila, here are four totally adorable outfits that we put together. But the t-shirts, vest, all the different bottoms and even her shoes can go together a number of ways giving her about a dozen options. Kids today are incredibly well-rounded. 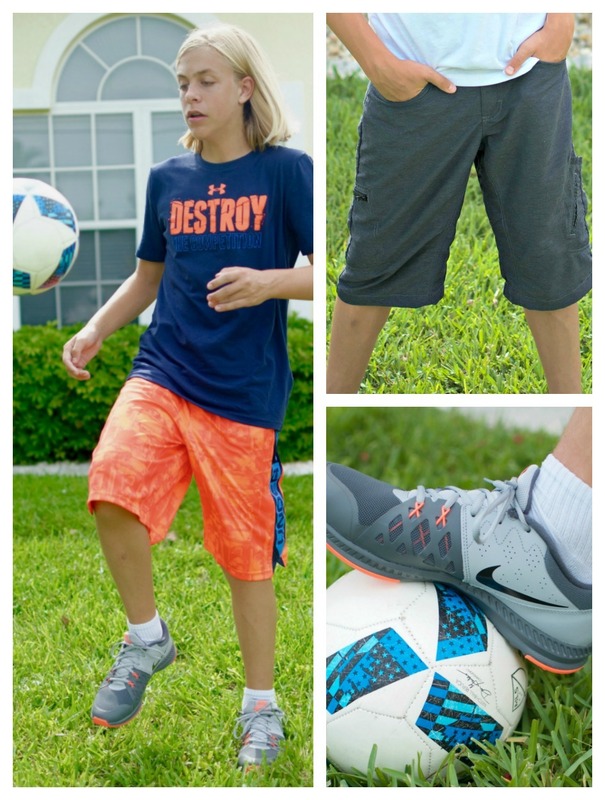 Many of us have boys and girls who are both sports fanatics and fashionistas. The best thing about athletic clothes today is that they have become so multi-purpose. They look good, the fabrics are fantastic and the shoes have gotten so sharp our kids can get away with wearing them at just about any function. 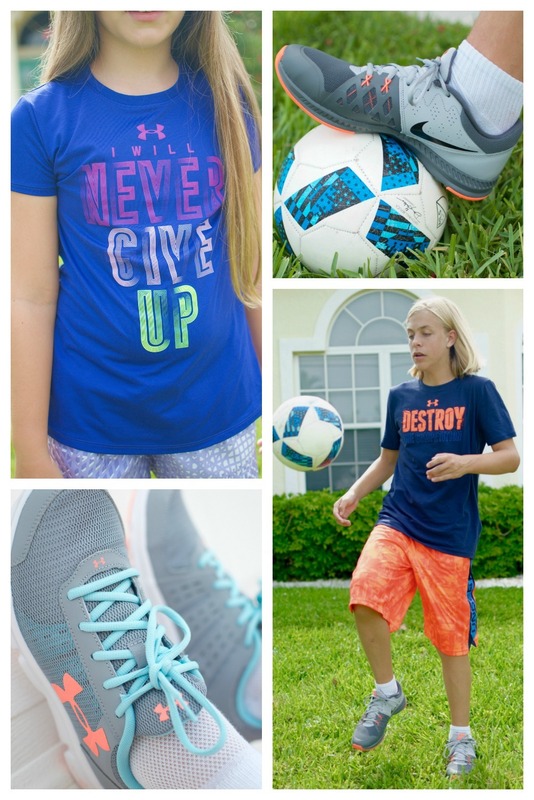 My soccer playing son pretty much lives in Under Armour and Nike attire and my dance loving daughter loves their stuff for staying cool in our Florida heat. Each of them picked out an outfit that definitely was uniquely them. My son has on Under Armour Colorblock Eliminator Shorts and Destroy the Competition shirt. The Cross Trainer Tennis Shoes are from Nike. My daughter’s I Will Never Give Up shirt and matching purple sport shorts are both from Under Armour as are her turquoise and peach tennis shoes. 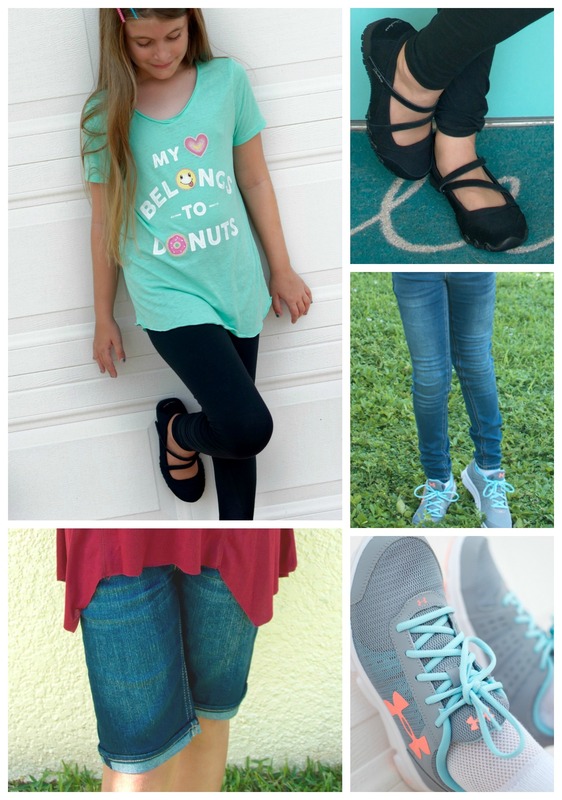 When it comes to shopping for back to school clothes for kids, Kohl’s makes it’s easy to save and simplify while still being SUPER stylish. Don’t miss out on Kohl’s Friends and Family Sale that runs from August 17th-20th. Get 20% off with code SAVER in stores and online. PLUS, You can sweeten your savings with their other back to school coupon that offers $10 off $50 kids clothes from August 4th – August 20th. The Promo code is BTS10. Savings apply to Kid’s Clothes, Junior’s Clothes, Young Men’s Clothes, Footwear, Juniors’ Accessories and Character Backpacks Purchase. Click her for more info on Kohl’s Coupons and Savings. Happy Back the School Clothes for Kids Shopping! 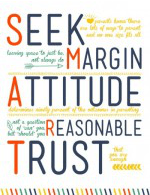 We send out our blog posts by email--join today and receive a free SMART Parenting Printable as a Thank You gift! Your email is never sold or shared. Kira Lewis is a mom to a strong and sassy 8 year old girl and a funny, soccer playing teen boy. Her career has included everything from corporate ladder climbing to teaching yoga. She's settled for now on free-lance writing and blogging where she covers topics like motherhood, parenting, technology, Florida travel and raising tweens and teens.Keep up with her parental musings by subscribing to sunshine and hurricane's weekly newsletter HERE. Join our mailing list today and we'll send a free thank you gift!